Sharing one last winter white work since the first day of spring is less than one month away... but who's counting? 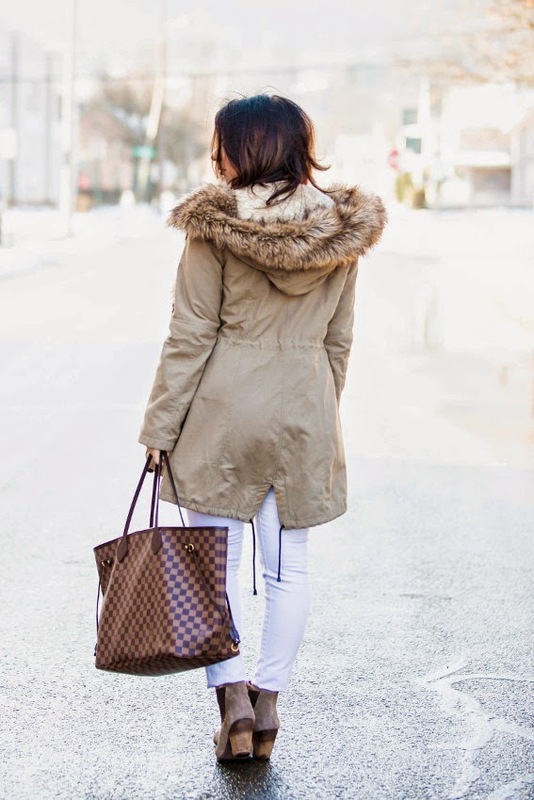 Winter whites are great with a variety of colors, but I love them with earth tones, especially little booties. 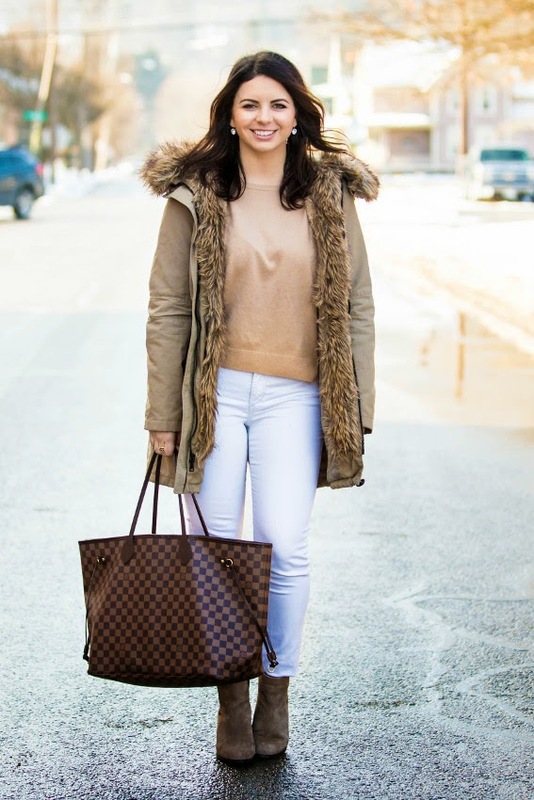 When you're questioning what to wear, white jeans can be a quick way to add a statement to your outfit. The look above is mostly ordinary, and if I had paired it with jeans it would be very casual, but I added white jeans which helps to jazz it up just a bit. Give this look a try this weekend! As a tip, when pairing white jeans with earth tones just be conscious of not going too light with your additions. You probably want to avoid wearing head-to-toe white in the dead of winter, so look for tans that are a little bit darker.